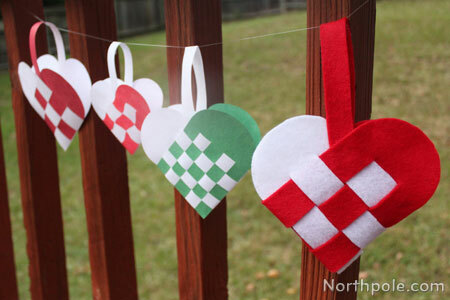 These woven hearts are native to Scandinavia and are commonly hung on Christmas trees. 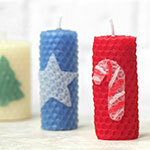 You can make them out of paper, felt, or velvet ribbon in contrasting colors to show off the woven design. 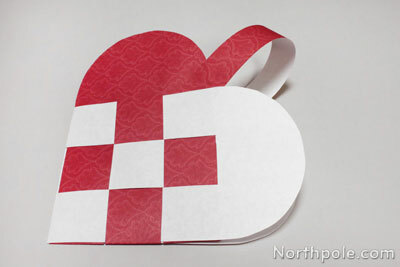 When finished, these hearts are little baskets, so you can fill with treats and give them to your friends. 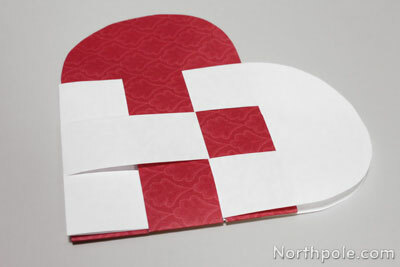 Fold a piece of white construction paper in half�widthwise. 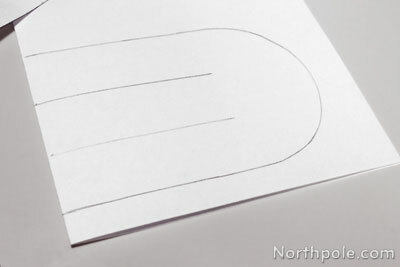 Place template piece onto construction paper with the dashed line on the fold. Trace with a pencil and cut out. 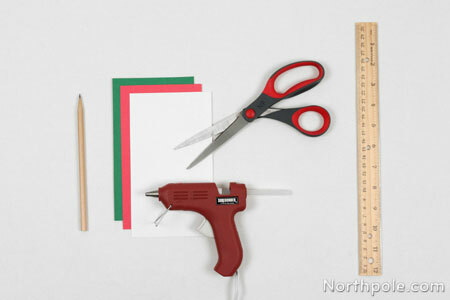 Repeat steps 2–4 with red paper. After the final strip is woven, the hard part is done! Cut a strip of paper that is 6–7" long. 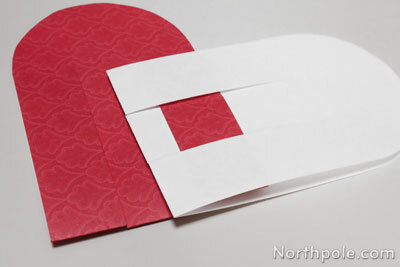 Glue the ends of the paper to the inside of the heart, making a handle. 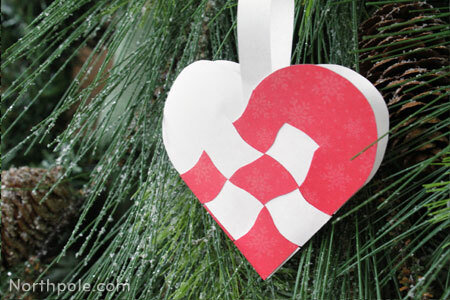 Now that your heart ornament is finished, hang it on your Christmas tree. Cut 4 or 5 lines for a tighter weave. 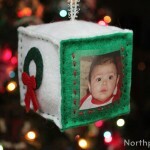 Make them out of felt or ribbon.